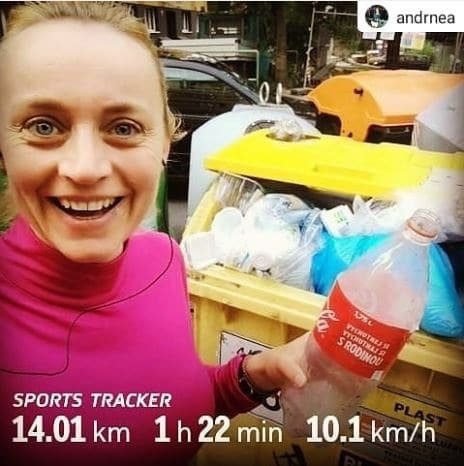 Our #sportstracker @andrnea shows you how it’s done! Have you heard about Plogging? It’s a new combination of jogging and picking up trash that’s spreading quickly around the world. You can already see Instagram posts with #plogging ranging from South Africa to Finland to China, where ploggers showcase their route and catch of the day. This new global fitness trend was born in Sweden in 2016 and has resulted in many dedicated social groups in different countries. The power of plogging is in the movement’s environmental and social effects: who doesn’t enjoy a trash-free trail to run on? Plogging communities arrange events that anyone can join and they share the spirit and inspiration with fellow athletes. You can join a plogging community for example on Facebook Finland, World, America. This year, the World Cleanup Day is organized on September 15. Over 16 million people in 113 countries have already joined in an effort to clean up trash. So join the plogging movement by tracking your route with the Sports Tracker app and sharing it to Instagram with a picture and tags @sportstracking #plogging #sportstracker. Let’s do good while doing outdoor activities!